STRESS! Give me an S. T. R. E. S. S. What does it spell? STRESS! Yes, okay, I think I have gone mad? Maybe it's the stress! OMG, it's the stress! Don't talk to me about stress! Actually, do talk to me about stress! Not talking about stress, makes you more stressed, which adds to stress and OMG STRESS!!!!!!! For this installment of the #SpeakUp series, the wonderful Ellen is going to be talking about stress and how to deal with stress. To be honest, I don't think this post could have come at a better time for me. I am so stressed right now. Starting college and doing three A levels requires an enormous amount of work and effort. Not only that, I have to run a blog and keep up to date with my social media, and if that's not enough, I suffer from multiple mental health problems which quite frankly makes me feel like I am drowning in my sweat, blood, and tears! And you think I'm exaggerating? Okay, maybe I am a little bit but Christ oh mighty, Stress is just killing me! Even when you're organised, have all your beautiful multicoloured fine liners lined up, you can still feel like you are drowning. 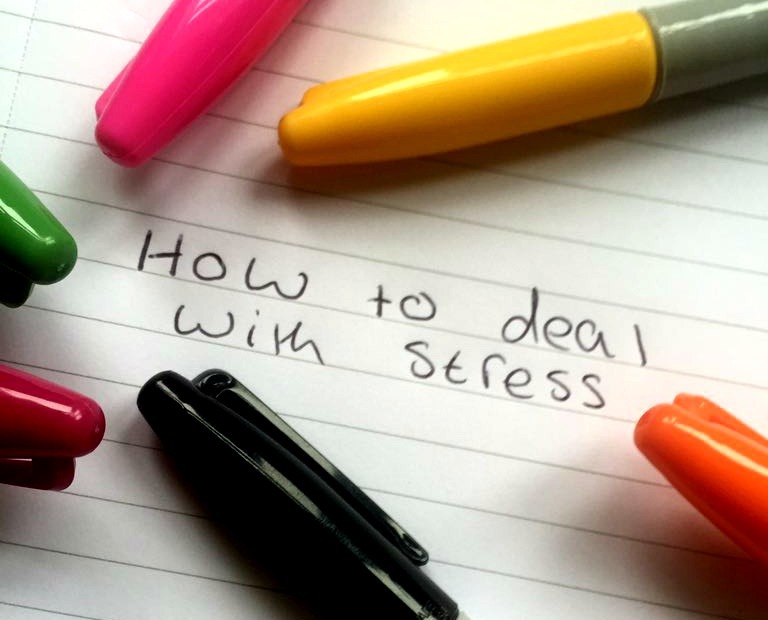 Luckily, Ellen, has it covered and is going to be sharing some fabulous tips to cope with stress levels! I hope you find them helpful; I know I certainly did! 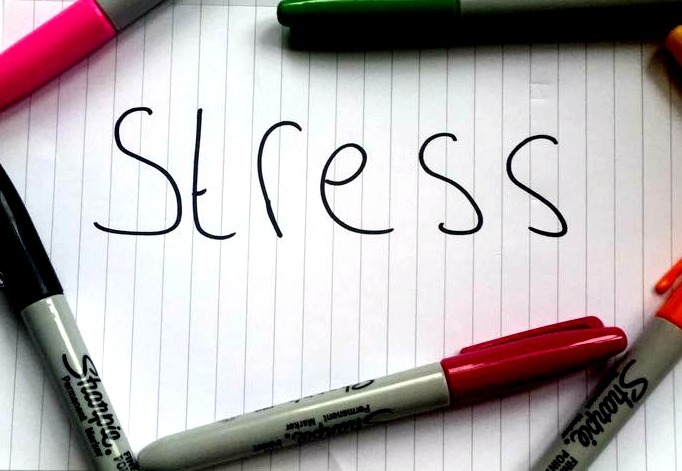 When deciding to get involved in Nicole’s brilliant #SpeakUp series, I decided to do a post about stress as I think that stress can affect everyone at different points in their life. Take my life, for example, I have school and exam stress (sixth form is horrendous) and applying for universities on top of that. This is the sort of stuff that affects most people, on top of that, I become very stressed about small daily things that probably don’t affect other people. I am a huge stress head, and you know what? That is ok because I am not alone. Stress can be caused by anything depends on the type of person and what affects and gets to you the most. I get stressed about things daily and just thinking about school work, exams, coursework, results, etc. make me feel ill, but I also get stressed when dealing with new situations, this could be meeting new people, presentations or situations in which I have zero control of what is going to happen. But some people don’t get stressed about school, but you can get stressed about other things, such as mental health, family, and friends. My main point is that no matter who you are or what you are dealing with, you are not alone with those problems. Whether you are stressing about health problems or a job interview. Ways to deal with stress can be the simplest thing or something huge, depends on the problem. For example, if it is school related, a job interview or something that you can and plan and prepare for them, make sure you have done everything in your power that you can do to prepare. It sounds simple, but if you do everything you can do to prepare then that why you can’t think ‘if I had only done this? If I had put more work in? What if I did this?’ this will make you feel a bit better because logically there is nothing more you can do because you have done everything you can do to prepare. People deal with stress in different ways so I thought I would share the ways in which I deal with stress personally. This might not work for everyone, but these are the methods I have found most effective. Talk to someone, in times of stress, I shut down and ignore it and just don’t talk about it which makes me so much worse to the point that when I finally crack I just break down, and it just makes everything worse. My mum knows this about me, so she always gets me to talk, and it has made me talk to her sooner rather than later and on full crying and just a mess stage. When I finally do talk about it, I feel a lot better because I have said it out loud rather than just in my head. If needed seek advice, whether it is a friend, parent or counsellor find someone you can trust and seek advice if needed. Don’t overdo it. You will achieve nothing by over doing it. Working until all hours of the morning when you have to be up in a few hours will not help you at all. Because you will be tired and probably not remember a lot of what you did at 3 am, I know I never have. Over doing it will also affect your relationships with people because not sleeping all the time will negatively affect you and will just make everything worse. Take breaks. Obviously, don’t take breaks every five minutes because you won’t get things done, but every few hours or so take a walk, get up and get a snack and reflect on what you have just done. It will calm you down during moments that you need calming down and if you are trying to remember something it will help. Set your self-goals. When I am struggling for motivation I set myself goals to achieve to increase my motivation as when I achieve a goal, it makes me feel like I have achieved something and less stressed because I reached my goal. Ignore what other people are saying. If people are talking about what they did and what they have done and it is different to yours, then this will seriously make you stressed so avoid it, ignore it. If it is a person then just cut them out of your life, you don’t need it. Get a hobby and find something to distract you from the stressful situation you are in. Writing this right now is stress relief because I am getting all my problems out in this post. Reading is a big escape for me as I can find myself in another world (JK Rowling I am looking at you.) Find something that can distract you from that stressful situation. Simple things I do to avoid getting less stressed in the beginning. I plan and organise everything I possibly can to make everything easier for me because if I haven’t done everything and am behind before I even start that will just make me more stressed and sets me up for a bad experience. Write things down, if you need to remember something, then write it down again and again because this will help you to remember it. Writing things down will also help you to plan everything and make the situation easier. If you can cut it out, then do. If it is a person or a job then get them out of your life because if you’re doing something or surrounding yourself with those who cause you stress, then get rid of them because it is not worth it, and when you get rid of it, you will find that everything is better because the negativity is gone. If you take one thing from this, then take that you are not alone in your worries and to surround yourself with people who will only make your life better and easier. Find people who will help you and make you laugh until you start to feel sick. That’s it from me; I hope this was of any help for people struggling to deal with the stresses of life. If you would like to read more from me, then you can check out my blog here and follow my blog here and check me out on twitter here. Thank you to Nicole for letting me be a part of this wonderful series. Thank you so much, Ellen, for writing such an informative and helpful post about how to cope with stress! No matter what kind of stress you are struggling with right now, I am sure Ellen's fantastic post will be able to help you in some way. If you would like to take part in the #SpeakUp series and write a post about issues that affect young people's health and wellbeing, do not hesitate to contact me via Twitter or email and I will endeavour to reply to you as soon as possible. Thank you Nicole for letting me write this. I hope this was helpful to anyone who needed it. I totally get what you mean about being behind before you've even started - I had my first lecture today and already I feel so unprepared and unorganised for the next year to come so I'm going to have to make some sort of change to that! I definitely don't miss the stress of A-levels but I'm just as nervous, terrified and stressed for my multiple modules, essays and dissertation lab project to complete + write up, as well as my new job I'm starting tomorrow! *shrieks nervously* - all great experiences I might add, but that come with a hell of a lot of stress - so I'm very thankful for this post and hope these points will make the coming year a lot calmer! Good luck with all your studies, looking forward to your next Speak Up posts and posts on Ellen's blog! I'm so bad at dealing with stress that I just quit my job because of it (luckily I start a better job next week) so these tips are great! I agree, it's so important to talk to someone when you're stressed about things, I need to remember this!